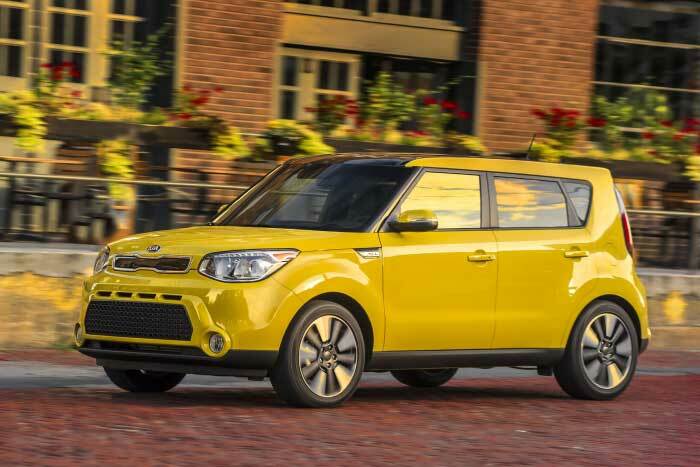 In 2010 Kia introduced the Soul, a cleverly designed, inexpensive and practical small car. Unfortunately inexpensive translated to “you get what you pay for.” The Soul was cheap and everything about it reinforced that image. It was tinny, noisy and got poor gas mileage. The interior was ugly and the seats rock hard. But times change and for 2014 Kia has updated the Soul. And in updating the Soul they took it to the next level. The Soul still doesn’t get great gas mileage, but in every other way it is a better car. On the outside the Soul hasn’t changed very much. The back-end still has a chopped off look that reminds me of an AMC Gremlin. The Soul still sits up fairly high (for such a small car) and visibility is still very good. There is no appreciable change in the dimensions; in fact the only really noticeable change is in the tailgate design. But while the outside hasn’t changed much its construction has. Everything about the Soul seems better made … more solid. Doors close with a satisfying “thunk” and the rear hatch no longer feels like it is going to come off in your hand. Still, the major changes to the Soul are on the inside. The interior has been completely redesigned. Gone are the hard, uncomfortable seats. Gone (mostly) is the cheap black plastic. In their place are soft-touch plastics, more comfortable seats and easy to read gauges. In addition, the 2014 Soul offers an array of options that usually aren’t found on inexpensive, small cars such as ventilated front seats, a panoramic sunroof, a smart key and a heated steering wheel. The first thing I noticed when I sat down in the base model Soul was how much more comfortable the seats are. They have additional padding and are better contoured making the Soul a vehicle that you can actually stand to drive for more than 30 minutes at a stretch. The interior changes also include more soft touch materials in more places (the original Soul didn’t have soft touch materials anywhere – especially the park bench like rear seat) and much improved driver information displays. The biggest disappointment with the Soul is it still doesn’t get great gas mileage. Compared to its competitors – the Honda Fit, Nissan Versa Note, Chevy Sonic – the Soul’s MPG is a very average 24 miles-per-gallon in the city, 30 on the highway – a combined average of 26 miles per gallon. The Fit, Versa and Sonic all average at least 30 miles per gallon, city and highway combined. Click on the image above to view the Soul image gallery. When the Soul was first introduced it was kind of a poor man’s MINI Countryman. Like the Countryman it was unique in appearance and had some unusual customization options, some of the Soul’s even featured racing stripes to make them more MINI like. However, unlike the Countryman, the Soul wasn’t much fun to drive, but at least it could seat five people – not in comfort but still five people – compared to the Countryman’s four. The new Soul still isn’t nearly as much fun to drive as the Countryman, but it’s a lot better than it was and it has the advantage of being a little bigger and taller than the Countryman and a lot cheaper. The main thing I noticed when driving the base model Soul was that its seats are very comfortable and the 1.6 liter base engine is a little underpowered and a little noisy – you can really hear it when you step on the gas. The driver’s visibility is very good, especially to the front and sides, not nearly as many blind spots as in most hatchbacks, but the rear hatch window is small – if you can afford it the backup camera is a worthy option. The handling is decent, not outstanding but nothing to complain about. Overall the Soul is just fine; I would have no problem with taking it on a long drive or driving it around town. The Soul has three trim levels: the Soul, the Soul+ (pronounced Soul Plus), and the Soul! (pronounced Soul Exclaim). The Soul starts at $14,700 with a 6-speed manual transmission (add $2,000 for an automatic transmission and 16” alloy wheels) and is well equipped for such an inexpensive small car. Air-conditioning, cruise control and Bluetooth are standard as you might expect, but the base model Soul also includes auto up/down windows for both driver and passenger positions and a USB port for the sound system. There aren’t very many available options for the base Soul – if you want the optional sunroof or leather seats you’ll need to step-up to the Soul+. And if you want the power folding mirrors and HID headlights keep on moving to the Soul! The good news is Kia dealers are notorious for discounting, I have never seen an occasion where you can’t get at least $500 dollars off a Soul, usually more. Even the new 2014 Soul’s already have an available $500 rebate. Most people will probably buy the Soul+. It starts at $18,200 but, unlike the base Soul, has a larger, more powerful engine (164hp vs. 130hp) and automatic transmission as standard. In fact, the base Soul is the only one where you can find a stick shift – which is a shame because the 6-speed mated with the more powerful engine might add some much needed fun to the Soul. In addition to the automatic transmission and larger engine the Soul+ has, as standard, mirror-mounted LED turn-signal indicators and 17” alloy wheels. The big thing about the Plus is the options you can add. The Eco option, at $400 dollars, swaps the 17” inch alloy wheels for low rolling resistance tires and an idle stop and go system. The Eco option only adds an additional mile per gallon in the city and none on the highway so I would be hard pressed to justify it. The UVO e-Services package is a better value at $500. It gives you voice command control of the audio and phone system in addition to a rear backup camera. Unfortunately the other options are much more expensive. You can’t get the upgraded Infinity audio system without also purchasing the navigation system and the UVO e-Services option – a grand total of $1900. If you want the enormous sunroof it adds $1,100 dollars – but you can only get the sunroof if you also purchase the $1,400 audio/navigation system and the $500 UVO e-Services package – which brings the total to $3,000. The 2014 Soul is too new to have been tested by the NHTSA, however the 2013 Soul received 4 out of 5 stars overall. It got a 4-star frontal crash rating, 5-star side crash rating, and a 4-star rollover rating. For comparison the 2013 Honda Fit had identical ratings; the 2014 Nissan Versa Note also had the same ratings except for a 3-star frontal crash rating. One of the few small cars to get better ratings than the Soul is the Chevy Sonic. 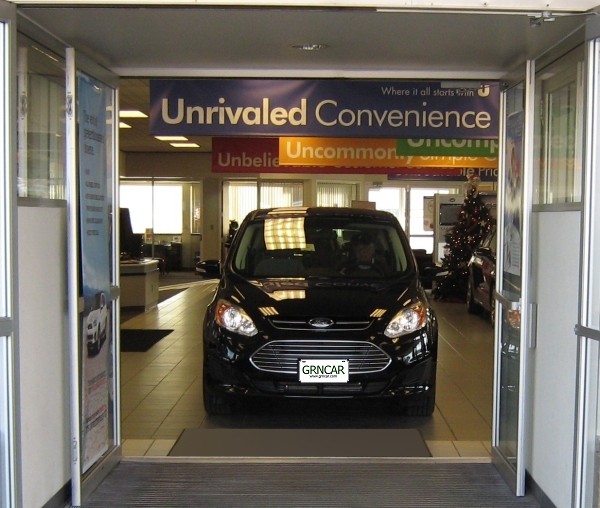 The 2013 Sonic has a 5-star overall rating, in addition to a 5-star frontal crash rating and a 5-star side crash rating; its rollover rating is 4-stars. The main competition to the Soul is from the similarly sized Chevy Sonic hatchback, Scion Xb and Nissan Versa Note. I found the Soul a more pleasing car to drive with better seating than the Sonic or the Xb and more passenger and cargo capacity than the Versa Note. It’s only fair to note that the Sonic and the Versa Note are significantly cheaper than the Soul when all three are equipped with automatic transmission. There are no reliability ratings for the new version of the Soul. The previous version was rated by a variety of sources as being much better than average in terms of reliability. The redesigned Soul is a vastly improved car. 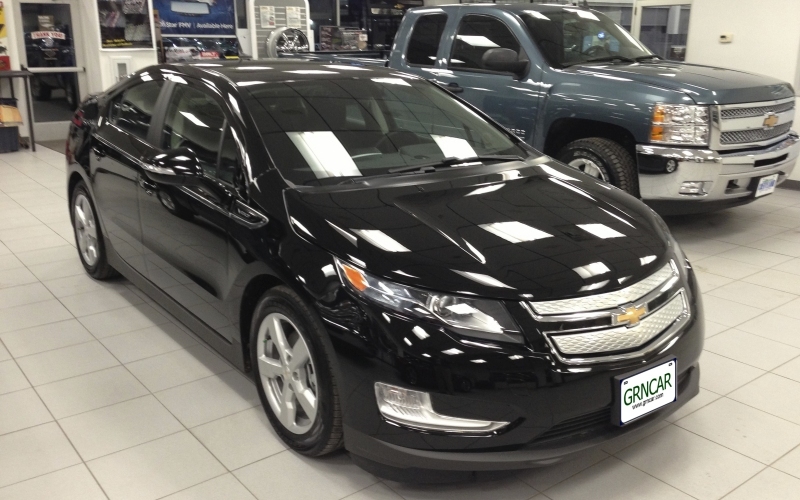 It is more comfortable, quieter, and has a better looking, better laid out interior. The mileage could be better and rear visibility could be improved, but it is no worse than many other hatchbacks. Even if the Soul didn’t feature a 5-year, 60,000 mile bumper-to-bumper warranty it would be an excellent small car and a good value. 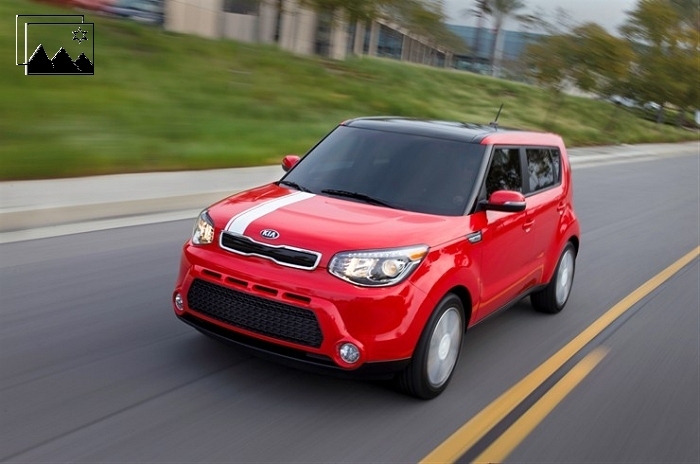 Add in that warranty and dollar-for-dollar the 2014 Kia Soul is hard to beat.